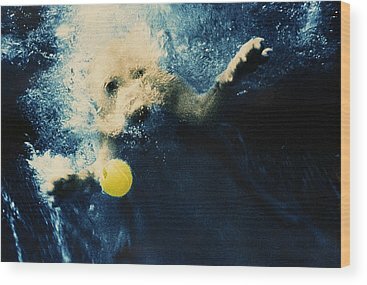 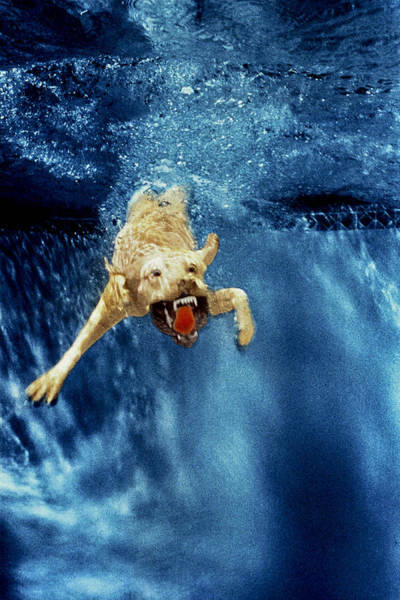 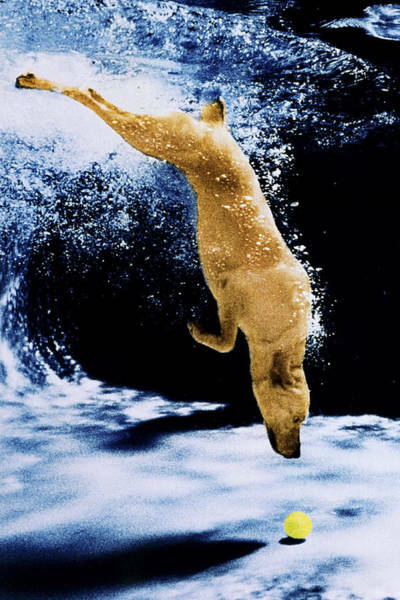 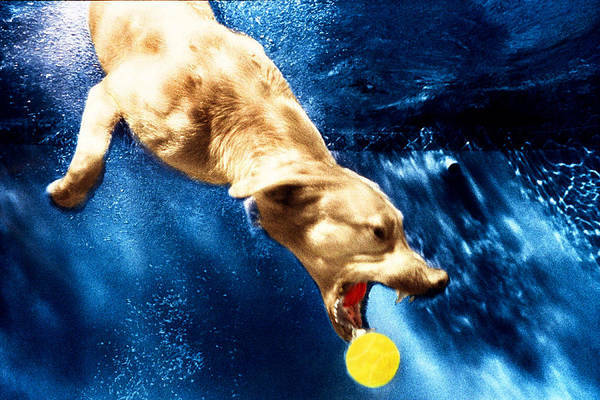 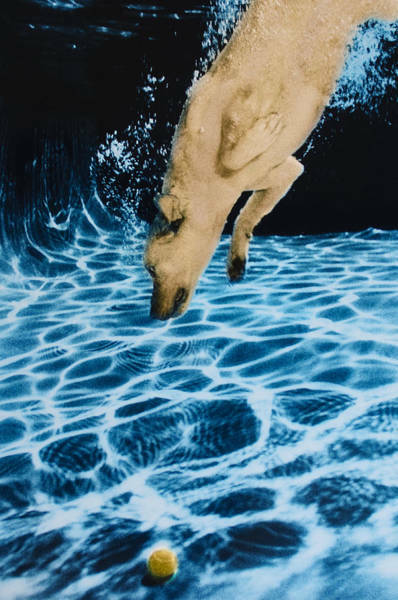 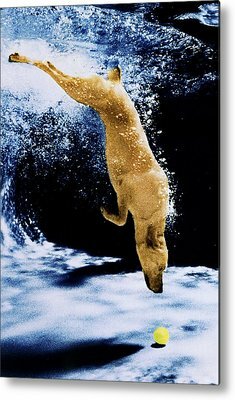 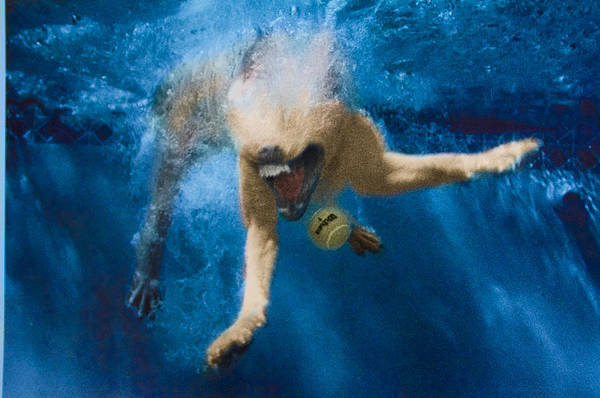 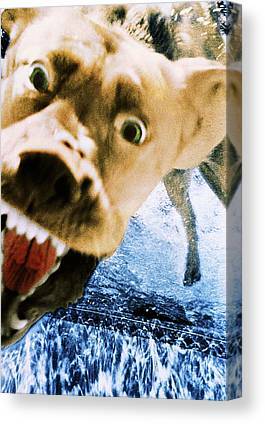 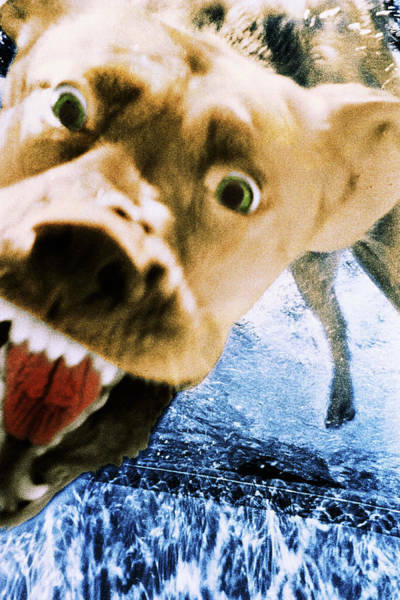 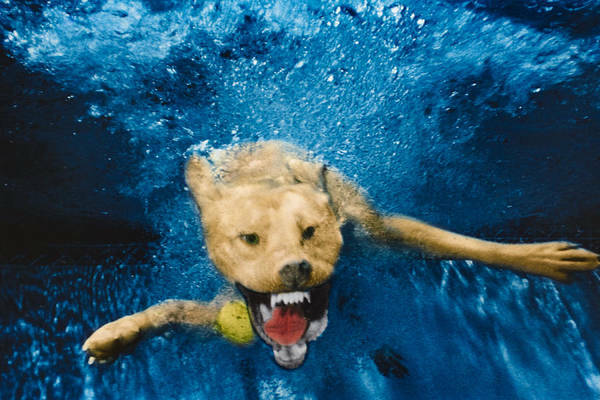 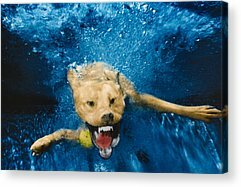 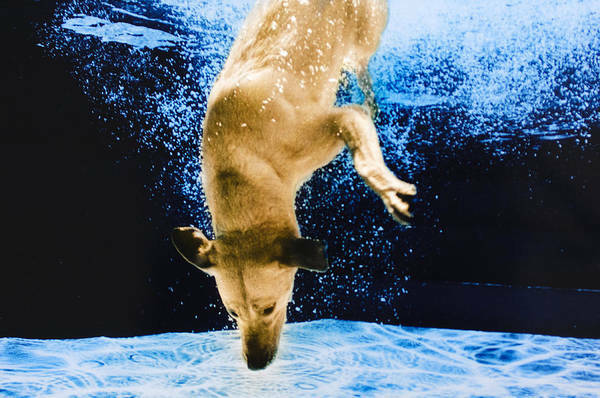 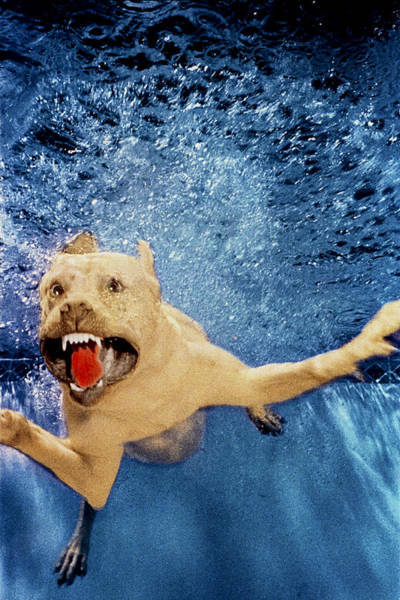 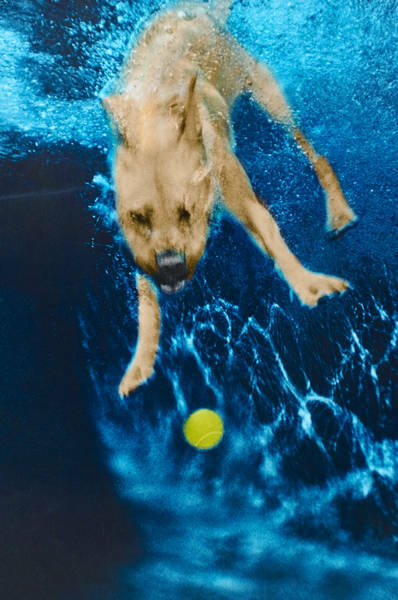 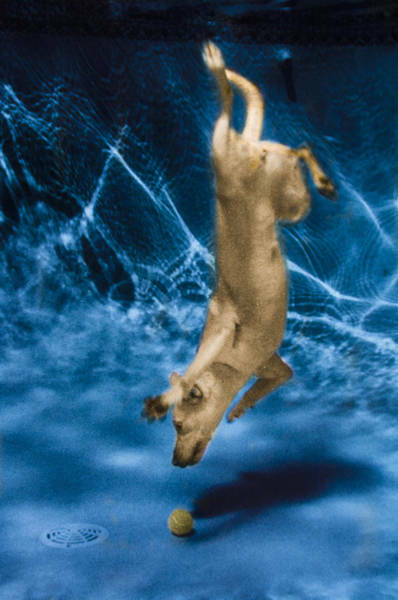 Photographs of a Yellow Labrador underwater, taken in 1997. 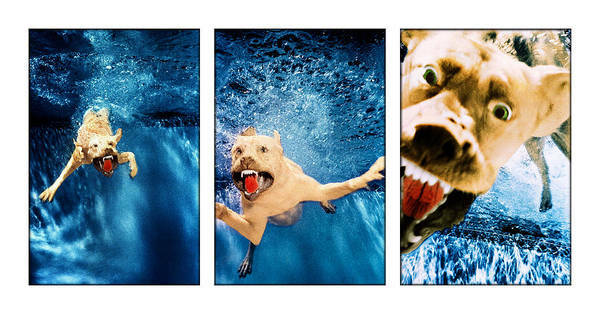 These photographs were created pre-digital, in the film era. 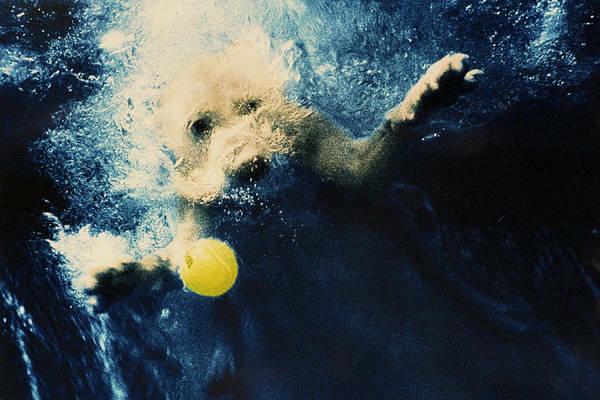 They show the flaws inherent from the pre-digital age.